Are You Buying or Selling a Home in NJ? Then Check Out These Tips to Minimize Problems at Closing, and Ensure That Everything Runs Smoothly! The biggest transaction in most people’s lives is the purchase or sale of a home. Home ownership is a part of the American Dream, and can be very exciting. However, there are some problems that can arise in the transaction if you don’t take all of the proper steps (and sometimes, unfortunately, even if you don’t). 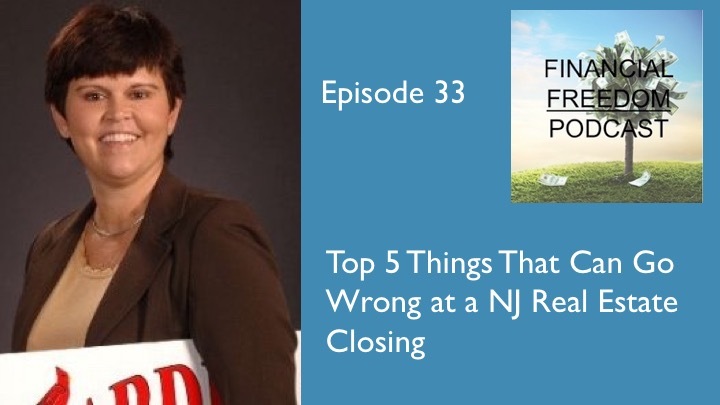 So in this episode I talk with the owner of Cardinal Real Estate Services here in Woodbury, Lynn Stambaugh, about 5 things you can do to insure the best chance that your closing will go through without a hitch.